Considering that the XII international conference "Fat-and-oil industry: technologies and market" (May 14-15, 2019, Kiev, Ukraine) is the only technological direction in the segment of fat and oil production in Ukraine, participation as an advertiser and sponsor gives a wide range opportunities of advertising influence on its participants and will allow to raise recognition of products and services in the precisely verified segment of the target audience, which will help to optimize the communication portfolio of the enterprise. Thanks to the system of bonuses and discounts, potential advertisers had an opportunity to present their products and services to the target audience at prices acceptable for different budgets. 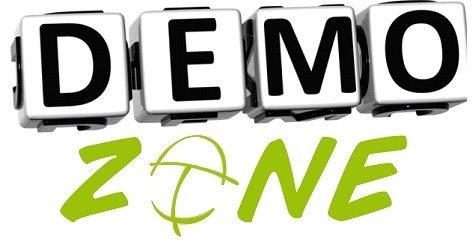 Traditionally, within the framework of the conference, the work of the DEMO-zone. The DEMO-zone is located in the conference room. 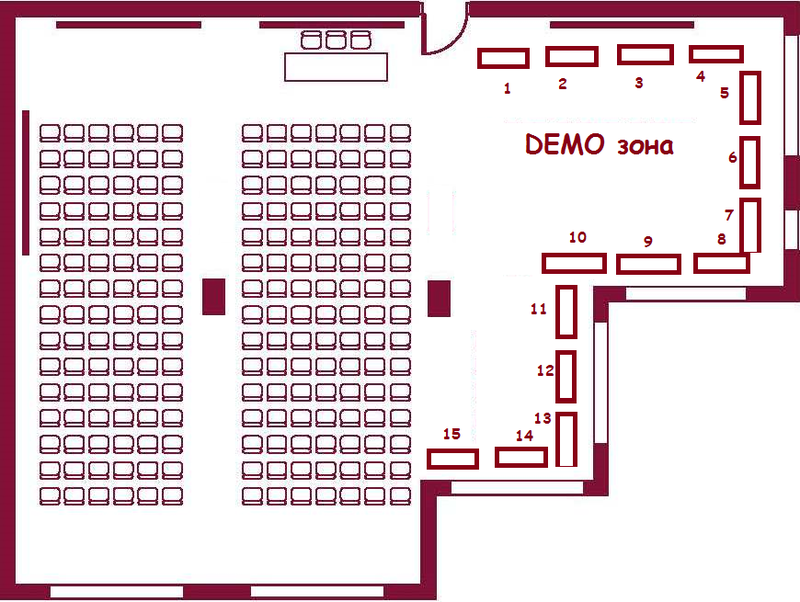 The presence in it of a plasma screen allows its participants to fully listen to reports and watch presentations, staying in the territory of the exhibition (the scheme of the hall is presented below). Exhibitors will be able to present analytical instruments and equipment in the demonstration mode within the framework of the exhibition "Equipping the company's laboratories". To participate in the exhibition, manufacturers and suppliers of analytical, laboratory and other types of measuring equipment are invited. Demo-shows on the operating equipment are a successful logical addition to the report-presentation, sounded in the specialized specialized session "Equipment for fat-and-oil industry", which will be held on the first day of the conference on May 30, 2018. Enterprises that are producers of food products and ingredients can also submit samples of their products. * Including all taxes, excluding bank fees. Due to the instability of the foreign exchange rate, the prices indicated in EUR, USD may be revised in accordance with the exchange rate of the National Bank of Ukraine at the time of invoicing. Scheme of the conference hall "Congress"
Conference catalog - printed edition A4 (full color) of 100-150 pages. Directory is given to each conference participant in the portfolio of materials and also available in all academic libraries and libraries of Ukraine research and educational institutions relevant to the fat and food industry. - business card companies that take part in the conference. Circulation catalog - 500 copies. Attention! Distribution of promotional products in the participants' portfolios is provided only in the framework of sponsorship packages. All reports are announced with a FREE adult company logo on the official conference website under "News Conference", as well as online news agency "Expert Agro" in "Agronews/Oilseed market", which is an additional advertisement for the business or company. 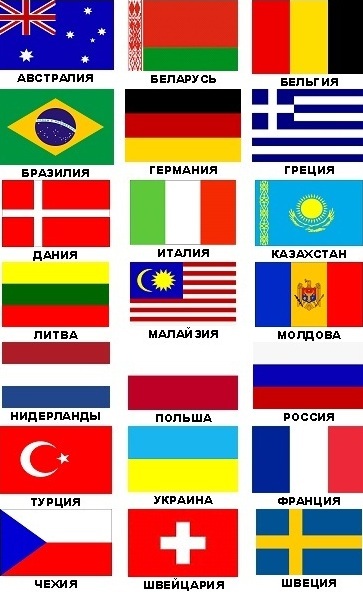 All news are displayed on the main pages of these sites. Before placing an online news necessarily agreed with the report's authors. Payment terms - 100% advance payment on the invoice issued by the organizer according to the application of the participant. The participant may opt out of advertising unilaterally. Refusal to advertise is accepted only in writing, certified by the signature of the head. - Ready ad unit accepted the following formats: TIFF (300 dpi, bitmapped graphics), AI (Adobe Illustrator, vector), CDR (Corel Draw, vector), EPS with a resolution of 250-300 dpi (real size) in color pattern CMYK. - Designer Spotlight agency "Expert Agro" is ready to assist in developing an advertising model as needed.